Was it a Good Year? Was 2018 a Good Year? Was 2017 a Good Year? Was 2016 a Good Year? Was 2015 a Good Year? Was 2014 a Good Year? Was 2013 a Good Year? Was 2012 a Good Year? Was 2011 a Good Year? What do you need for a successful direct mail campaign? Direct mail is just one form of direct marketing, which is any unsolicited contact that your business makes with its existing customers or with potential customers. Leaflet drops, telemarketing and email marketing are the other principle methods that direct marketing uses. Direct mail has the potential to be one of the most cost effective forms of marketing that your business can use but there are rules to follow if it is to work successfully for you and, of course, there are pitfalls to avoid. Essentially all you need for a great direct mail campaign is a good message, preferably with a compelling offer, and a list of people to send it to. Of course these three things take you straight back to the heart of all marketing. Do you know who your best potential customers are? Do you know what appeals to them? Do you know how they think and what they really want? The first thing that you need to start with is your list of names and addresses – also called a database or a mailing list. Direct mail campaigns stand or fall on the quality of that data. Think of two extremes. You could send a marketing message to everyone within a hundred miles of you; you could even send that message to everyone in the whole country. Or you could send one letter to someone who you knew had been thinking about buying a pool or a hot tub or a sauna for quite a while; had just decided to do so and was wondering who to get it from. The first example is going to have a massive amount of wastage. Sure, you’ll get some positive responses but the cost per response is going to be prohibitive. With the second example you are certain to get a response and for the least possible outlay. Of course, real life is going to lie somewhere between the two. What you want is a practical amount of data – a list of names and addresses that your budget will let you contact, let’s say, three times. There are two ways of getting that data. You can buy it. There are companies that will sell you lists of addresses that are classified by different criteria. Those criteria might be socio-economic group, age, possibly having shown an interest in leisure or lifestyle products; any one of a huge number of things. The other place to get the data from is your own records. Existing and lapsed customers, people who have made enquiries and, if you been wise enough to think ahead, data you have gathered yourself. When you have a presence at a local show or shopping centre event, when people come into your showroom even if it’s just to look around, try and get their contact details. The names and addresses of people who have shown an interest in buying a pool, spa or sauna are worth much more than their weight in gold. The other reason that your own records are so valuable is that they allow you to work out the criteria for buying data. You might think that your typical customer is a well off, family man with two children living less than twenty miles away. If all your records are kept in a searchable database then you can really find out if that is true or not. The next thing you need is an attractive and appropriate message. Well, actually you should have three or more, which is why you need to construct a list that your budget will let you contact at least three times. Direct mail works a bit like real life. The first piece of communication is like a first meeting. It acts as a greeting and an introduction. It tells the potential customer who you are and what you do and can offer. The second mail shot, that should be sent a couple of weeks after the first, might give a little substance to your offer. Be generous with your knowledge and your advice. Tell the recipient some things that will be useful to them. Show them that you are an expert in your field and the sort of company that they should do business with. The third mailing might follow a fortnight later. This is the best time to include testimonials from delighted clients and that compelling offer. 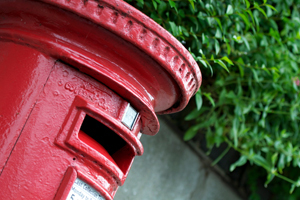 It might seem as if sending three mail shots to the same list is excessive but industry best practices would suggest that it’s a minimum, particularly if you are hoping to make a sale worth several thousand pounds. As to the message itself, it might be a simple letter or it might be professionally designed and in full-colour. Either way, modern technology allows each one to be personalised with the name of the recipient. ‘Dear Sir or Madam’ doesn’t cut the mustard any more. All problems that people can say ‘yes’ to. All problems that a pool, hot tub or sauna could answer. How you choose to write your direct mail shots should be informed by how you chose your mailing list. Imagine that you are writing to one, typical person on that list and try and be as persuasive and helpful as you can be. See the world through their eyes and frame the benefits of your pool, spa or sauna in a way that would appeal to them. Make them an offer they can’t refuse. The best direct mail will eventually include an offer. To get a good response you have to give away something of real value. Money isn’t the best thing to give away. It might be easy to say ‘10% off’ but it’s just as easy to ignore it. An in-ground pool installation might merit a free pool cover or chemicals. A spa could have a few months of service visits until they have the knack of maintaining their own water balance. A sauna might have a fibre optic lighting kit included. A tangible offer adds value and, because you can supply it at an, ‘at cost’ price and the customer sees it’s value including your margin; you can make a more generous offer at a relatively lower cost to yourself. Legal issues and common sense. There are legal issues you should be aware of in regard to direct mailing. You must have permission to hold third-party information. You must store information securely. You must check whether you need to register with the Information Commissioner. Ensure that your mailing list is up to date. Using details that are out of date or wrong wastes your money and potentially upsets recipients. At Wet Leisure we are committed to innovation and knowledge within the wet leisure industry. For more information on marketing and promoting your business check out the other articles on this website, join one of our many industry specific groups or speak to a member of our team.